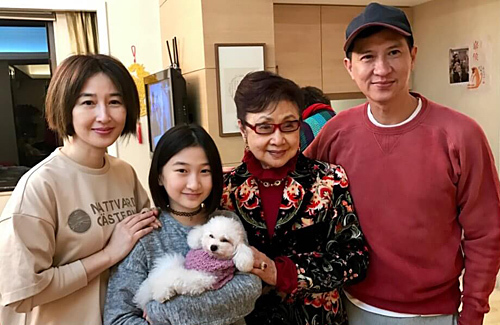 Nick, Esther, and their daughter with former opera star Bak Sheut Sin. Nick Cheung (張家輝) is an acclaimed actor known to to make any sacrifice for his films. While this leaves his wife Esther Kwan (關詠荷) to take care of their 11-year-old daughter Brittany primarily, Nick is still a reflective father, who wants to pass on his life experiences to her. Nick recounts his own childhood, when he had “few chances” to communicate with his parents, “This lack of support made me feel like I had to resolve all challenges myself.” Because of this, the 53-year-old actor is more convinced that as a father he should share his rich life experiences with his daughter, since she would likely have to face them in future too. In the new movie Integrity <廉政風雲-煙幕> produced by Emperor Pictures, Nick Cheung (張家輝) has many scenes filmed in Australia together with Karena Lam (林嘉欣). As both are parents, the two would exchange many parenting tips. According to Nick, “Karena would share how she educates her daughter. I won’t share as much, as I am still learning how to be a parent and do better. The daughter looks just like her mom and her mom reminds me of Roxina Lin? It sounds like Nick is a hard worker that’s nice to know.